Knee Pain is often caused by either a one-time acute injury or repetitive motions that stress the knee over time, particularly as we age. Four types of injuries that are prone to injury in the knee are anterior cruciate ligament (ACL), posterior cruciate ligament (PCL), lateral collateral ligament (LCL) , medial collateral ligament (MCL). 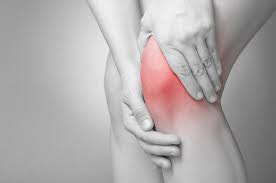 Knee Pain Causes include twisting, hitting strongly, shifting weight suddenly from one side to the other, high intensity jumping and running etc. In the milder cases it will heal over a period of time. Giving proper rest to the knee, icing reduce swelling and pain, compressing knee, keeping knee in an elevated position, wearing knee brace till can aid in curing this. Surgery is prescribed when ligament is torn beyond repair. ACL and PCL ligaments cannot be repaired if torn badly, reconstruction is the only option. Tendons extracted from your other leg or any donors can be implanted to correct this. Doctor will administer physical therapy post treatment to retrieve the normalcy of the joint. Keeping the muscles strong by doing regular exercises, keeping away from strenuous activities one can to some extent prevent occurance of ligament tears. Our hospital offers Best Knee Ligament Injury Treatment in Chennai with the help of dedicated team of doctors and other staff. Dr.Bharani Kumar inspires, improves and instills movement and fitness through remedial orthopedic treatments.